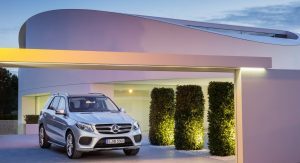 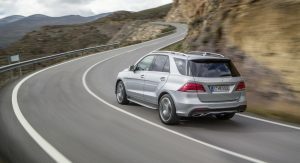 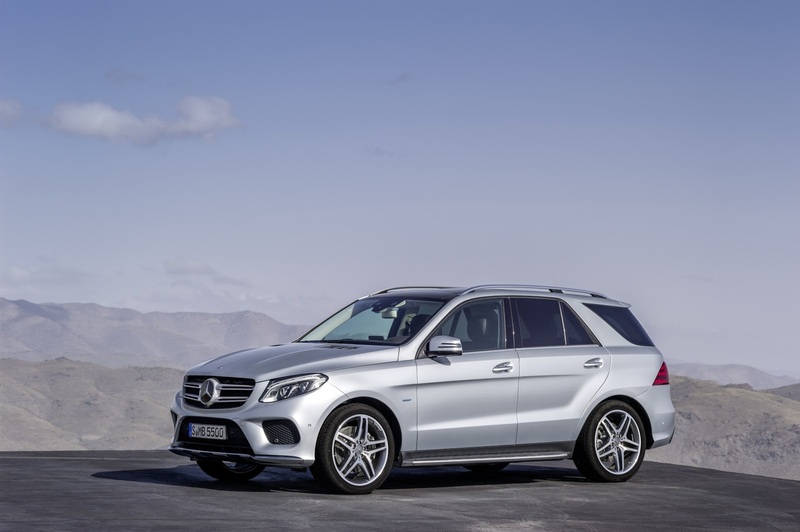 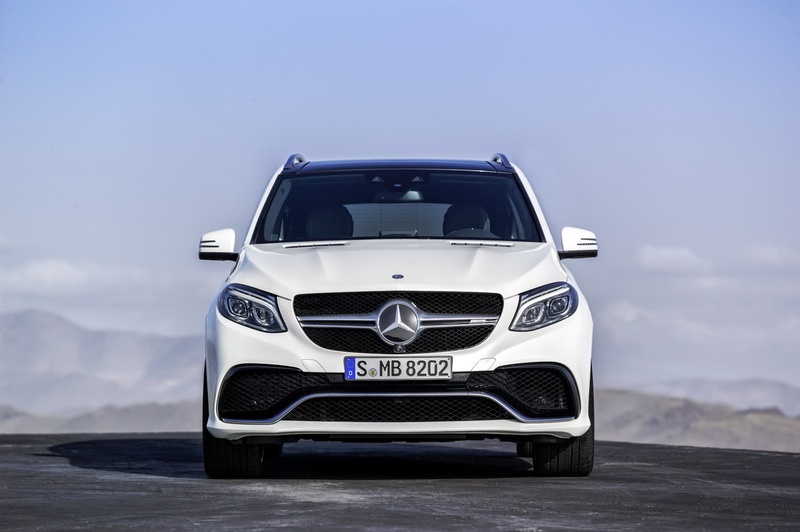 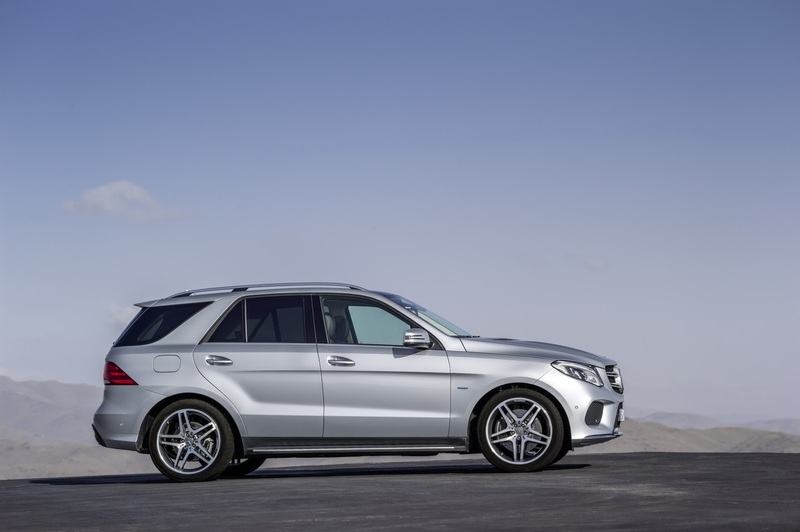 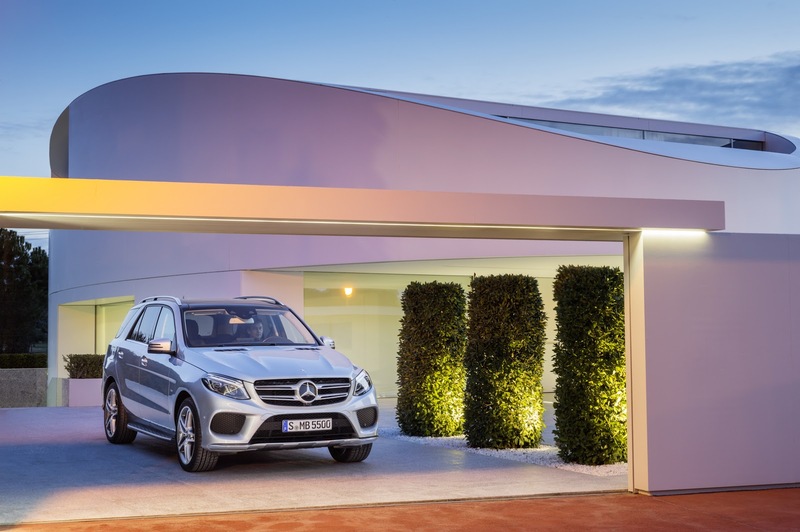 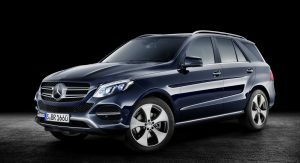 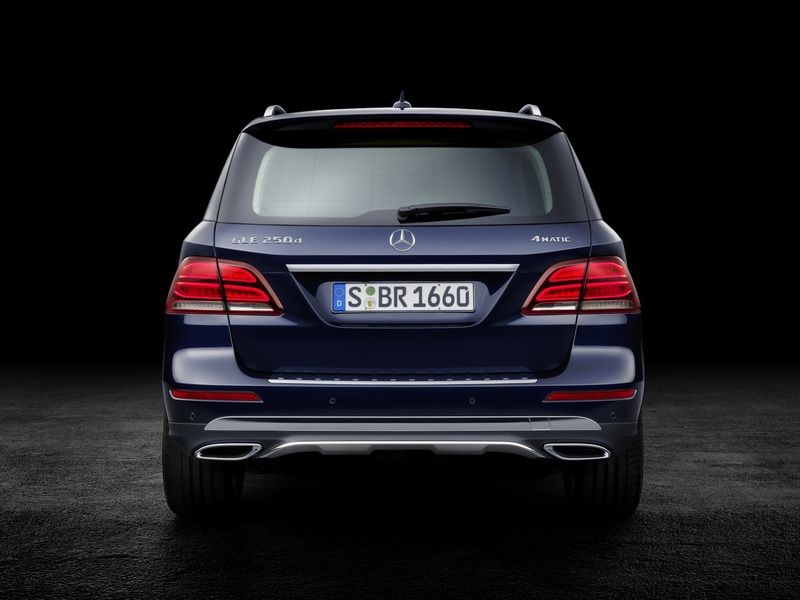 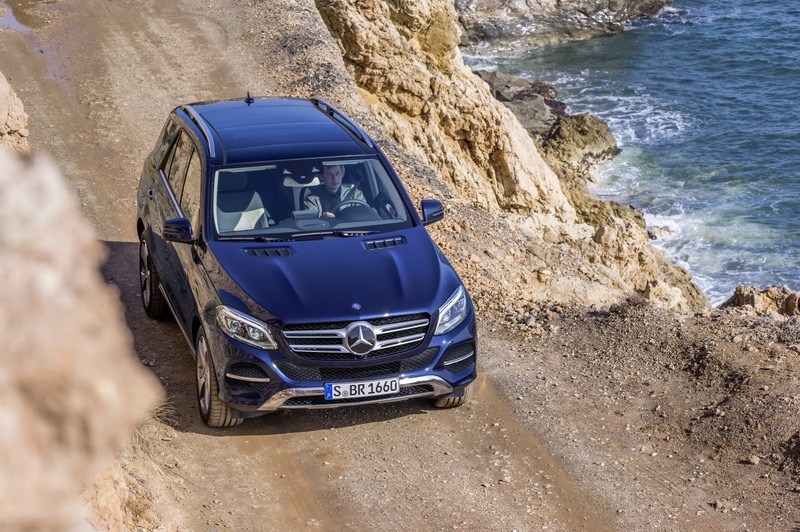 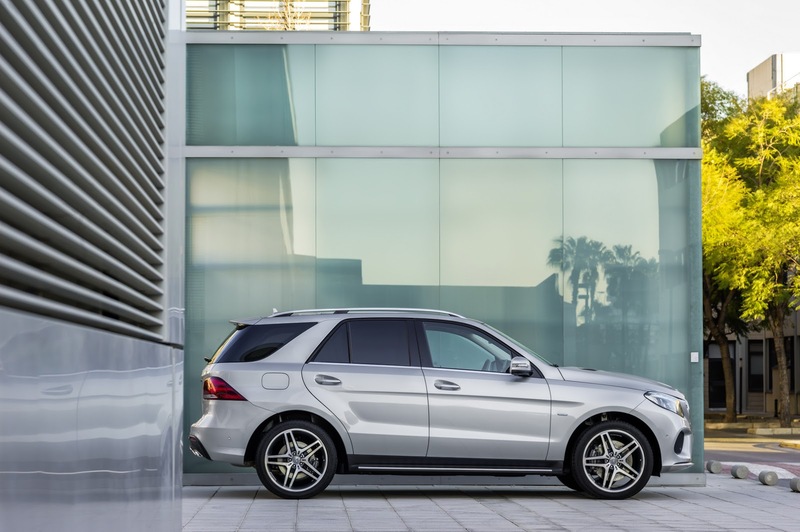 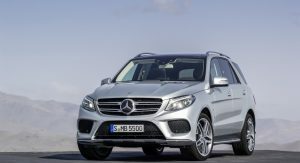 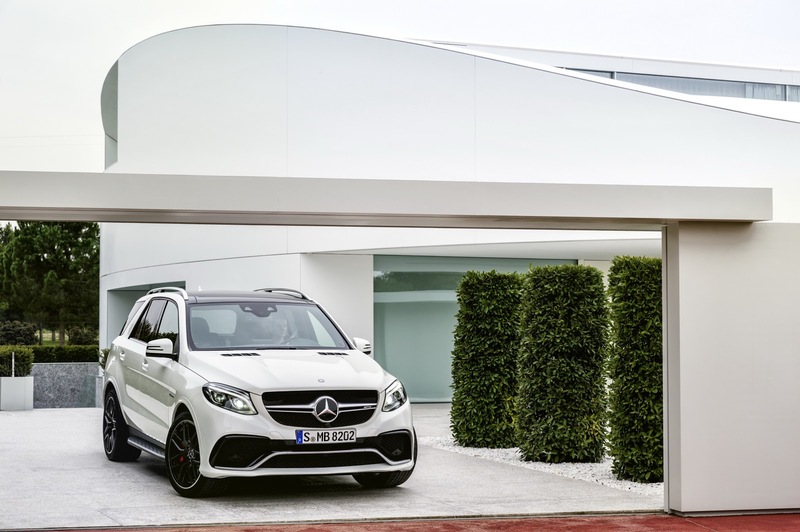 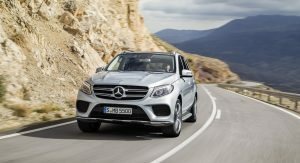 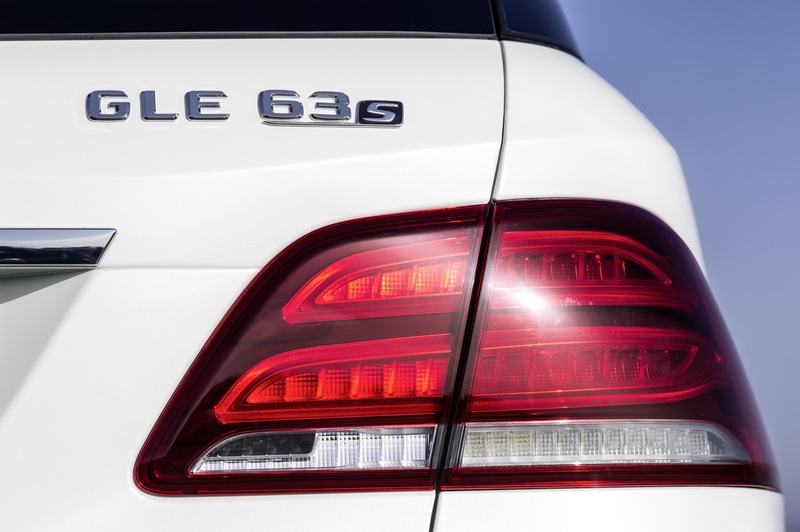 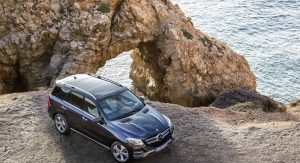 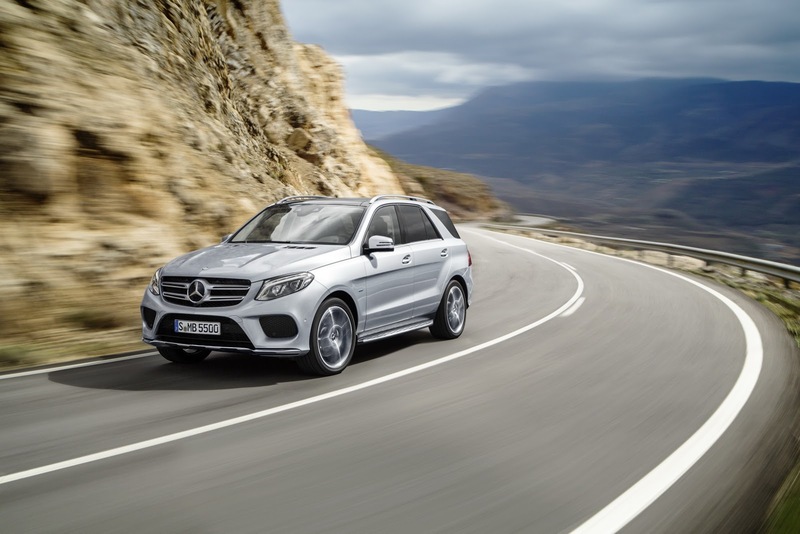 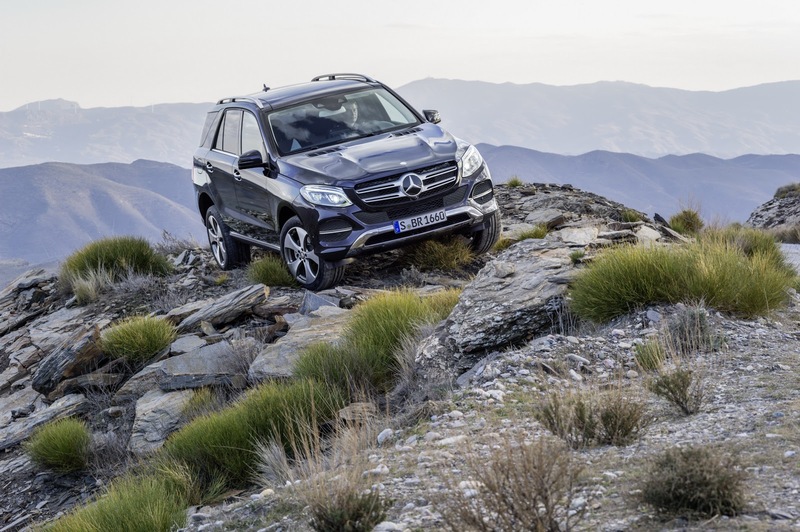 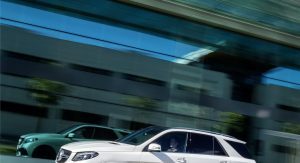 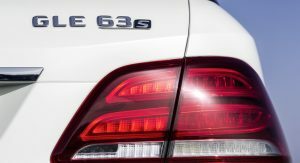 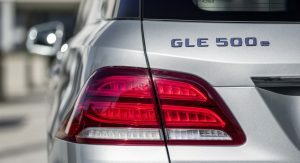 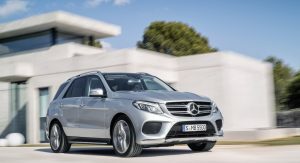 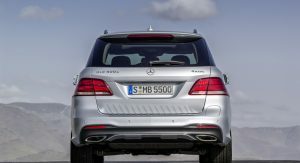 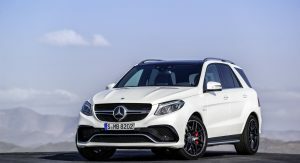 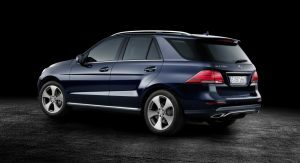 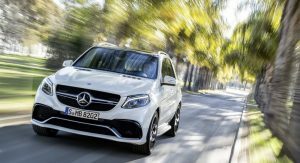 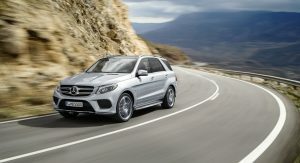 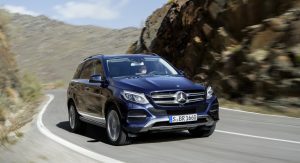 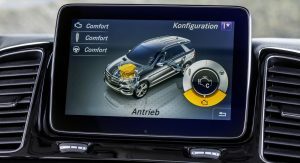 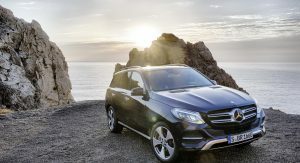 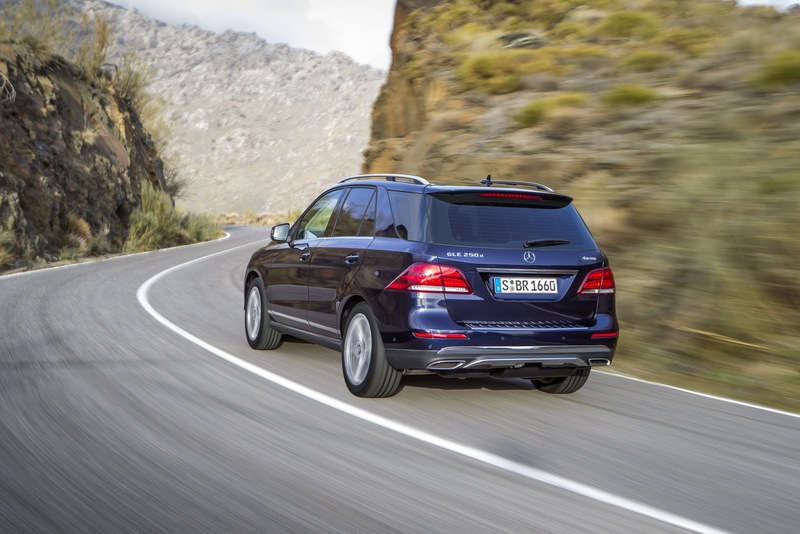 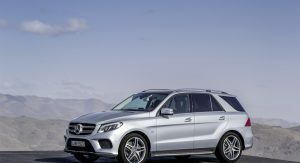 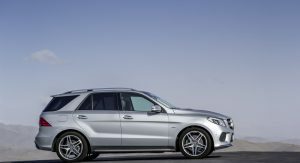 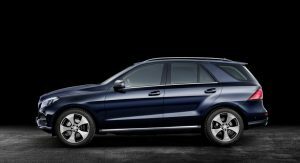 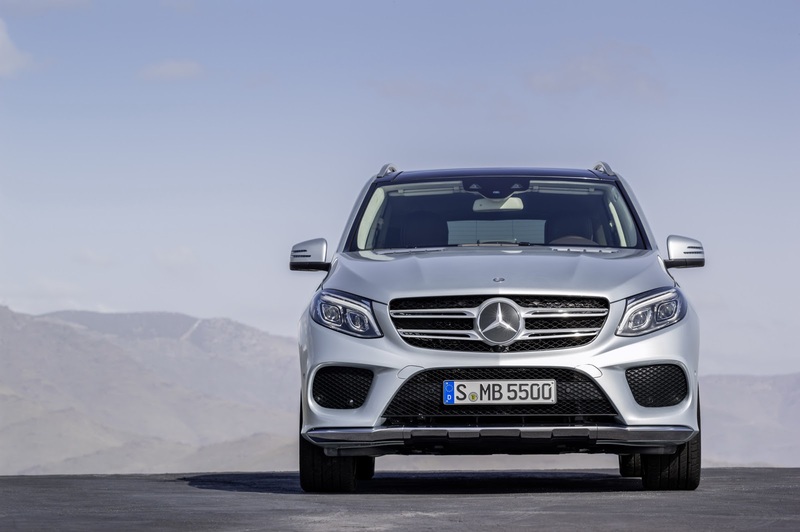 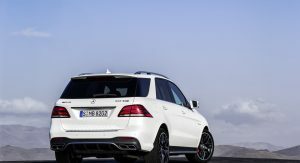 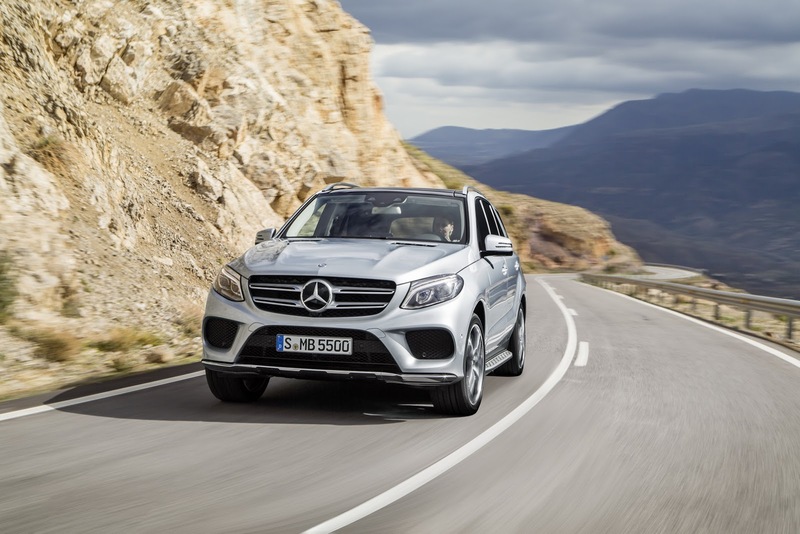 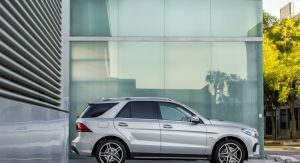 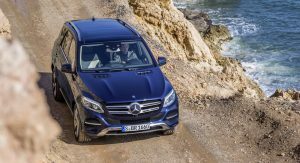 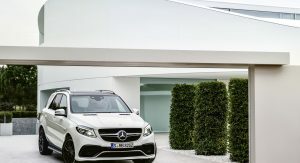 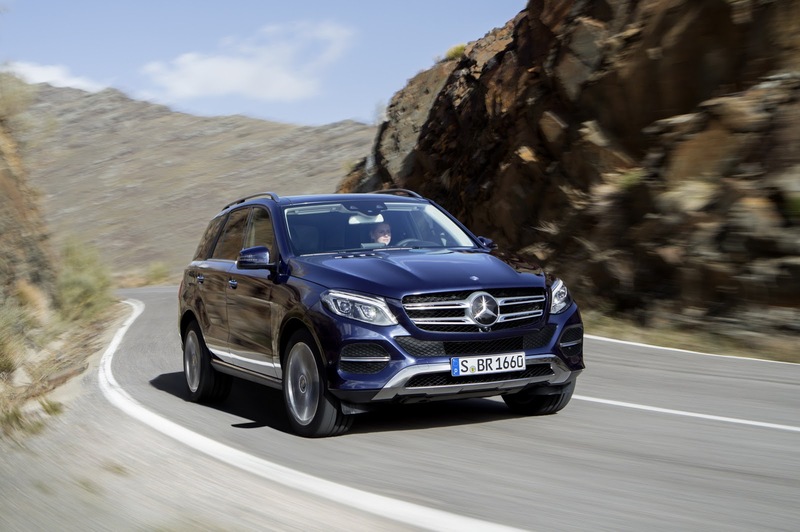 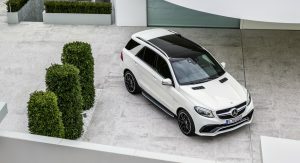 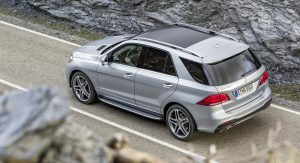 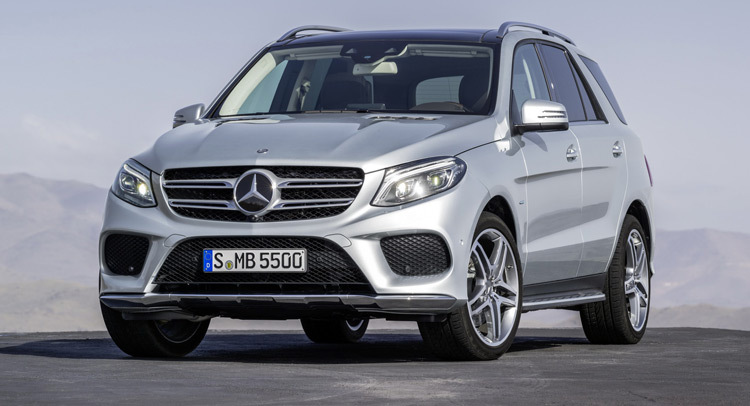 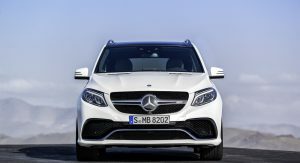 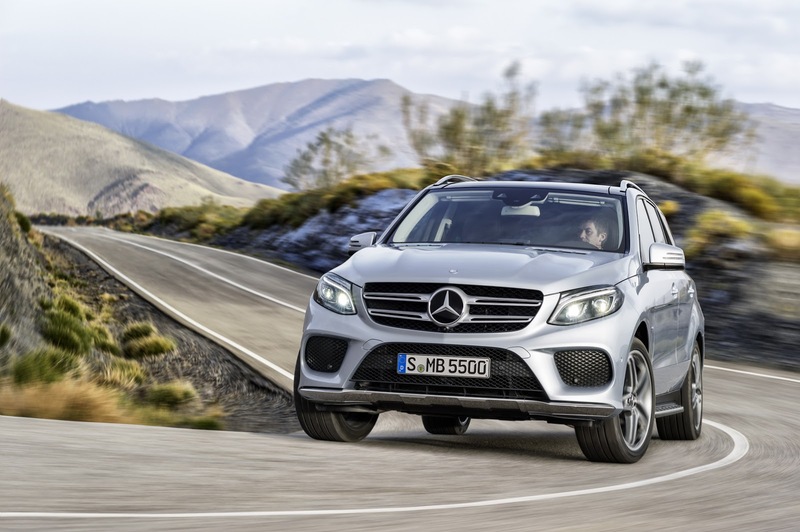 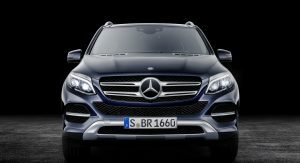 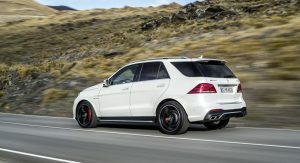 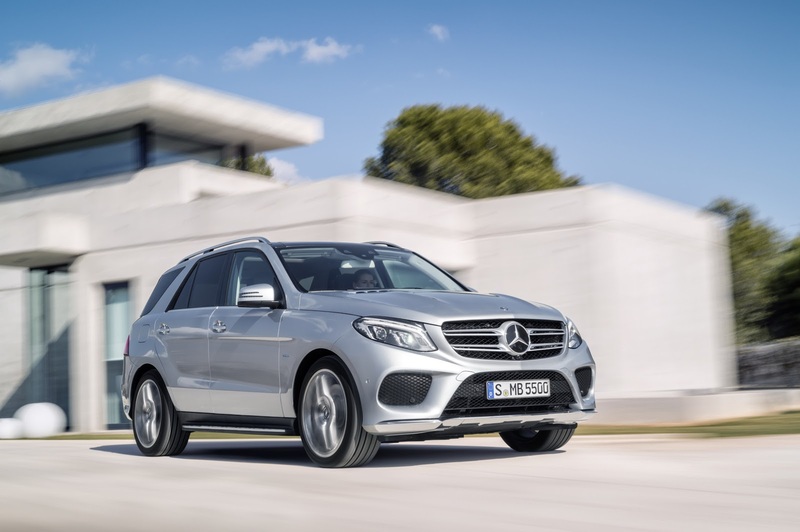 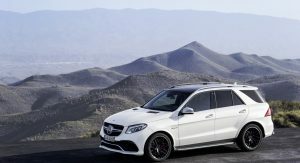 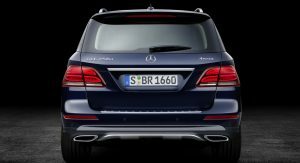 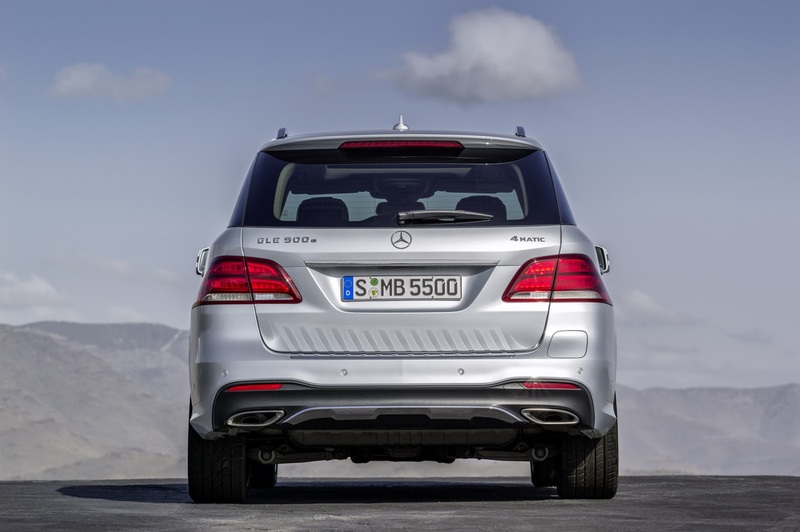 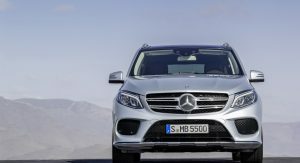 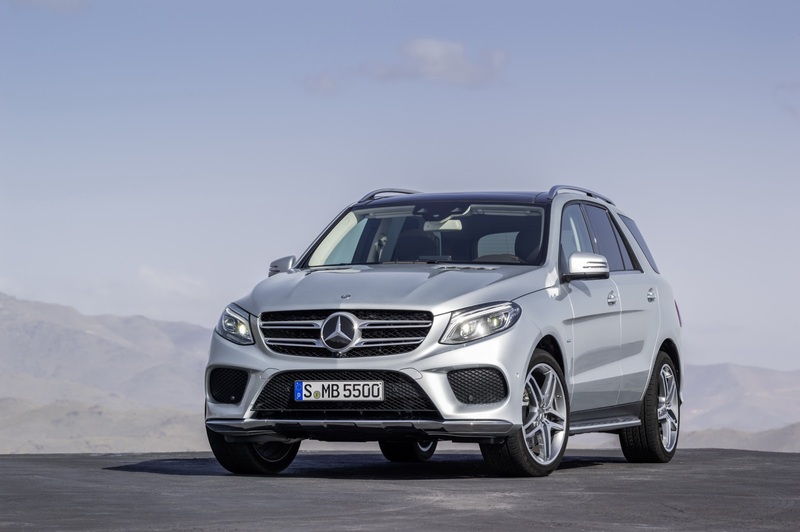 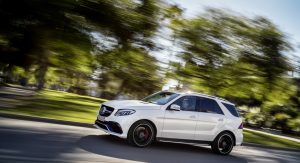 Mercedes-Benz gave the M-Class or ML a cosmetic, technological and mechanical makeover and while they were at it, they changed its name to GLE to fit their new nomenclature. 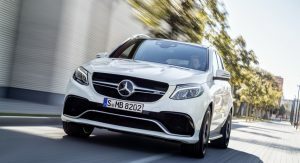 While the related, but sportier-bodied GLE Coupe, competes with the BMW X6, the regular GLE will go up against the Audi Q7, BMW X5 and Range Rover SUVs of this world. 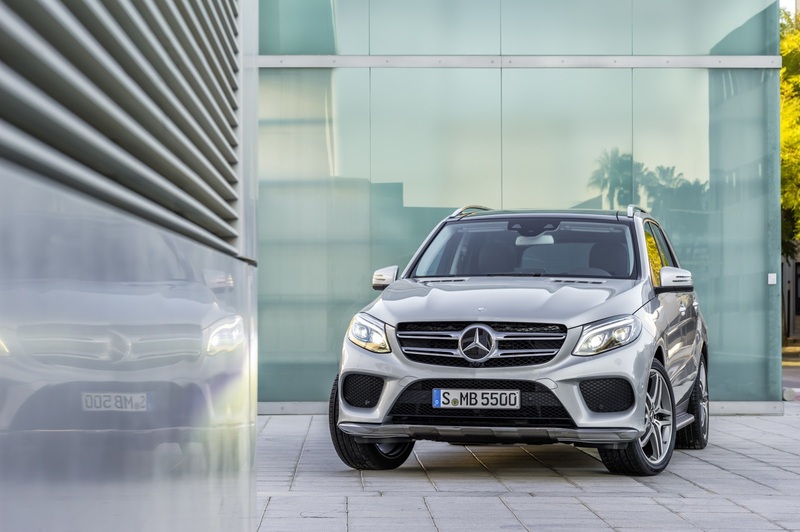 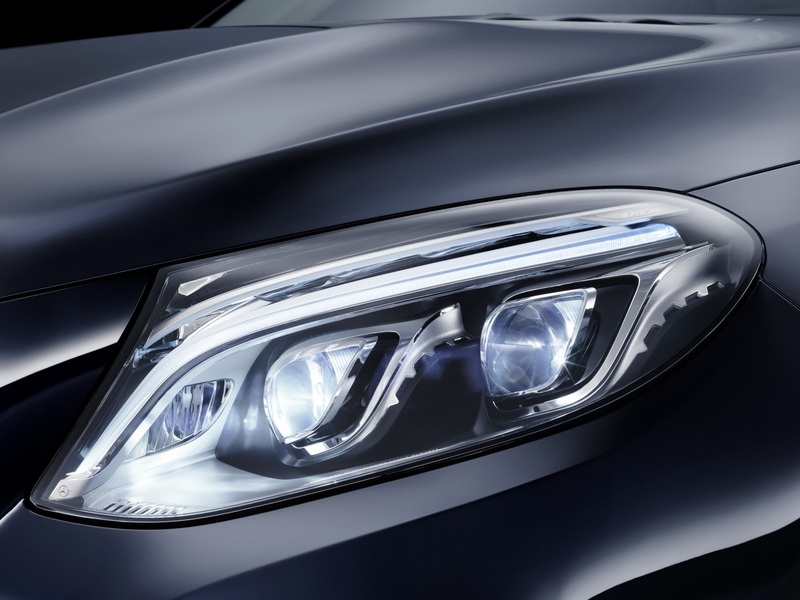 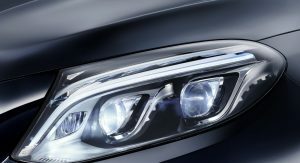 On the outside and specifically up front, you’ll find much of the same styling as on the GLE Coupe with Mercedes updating the former M-Class’ snout with new lights (optionally with LEDs), wings, bumper, hood and grille designs. 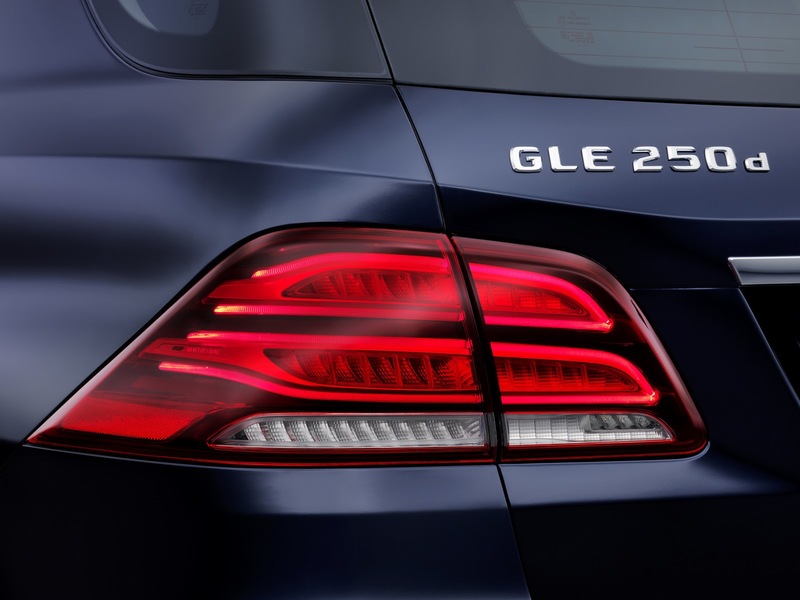 Out back, there are revised LED tail lamps, redesigned tailpipe embellishers, and a re-trimmed bumper. 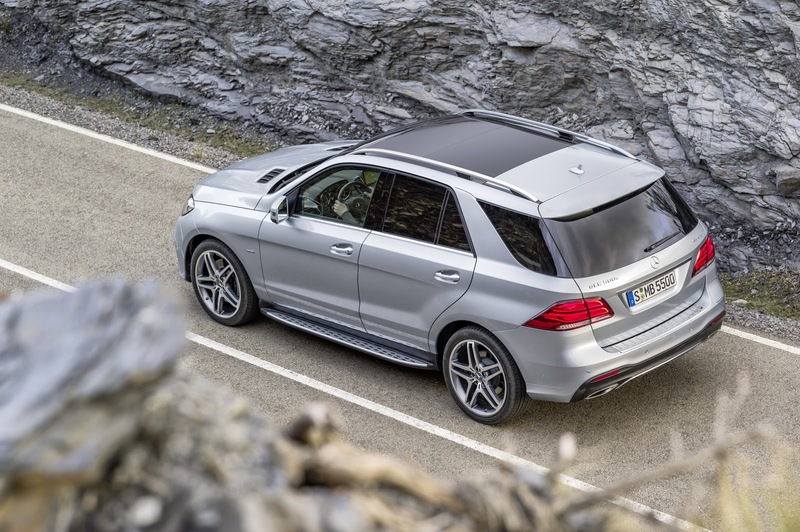 The different roof rails and the new alloy wheel designs round out the exterior updates. 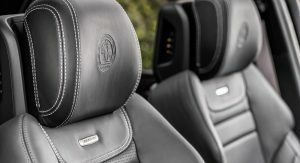 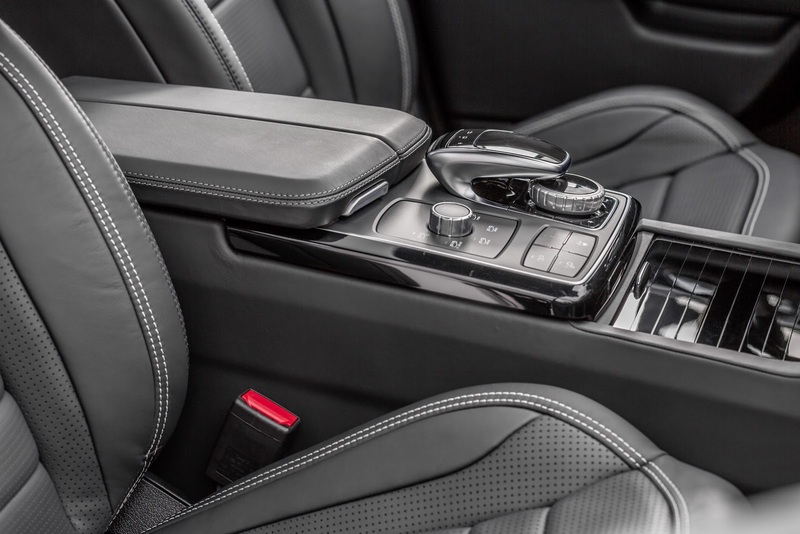 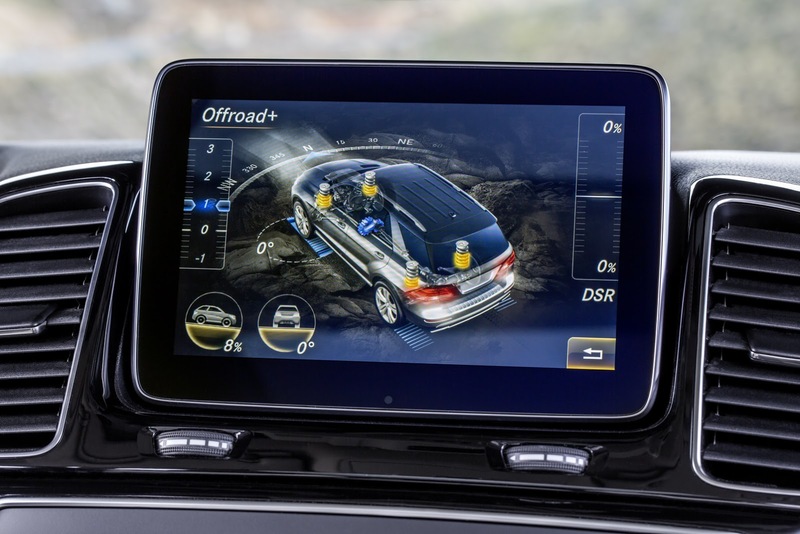 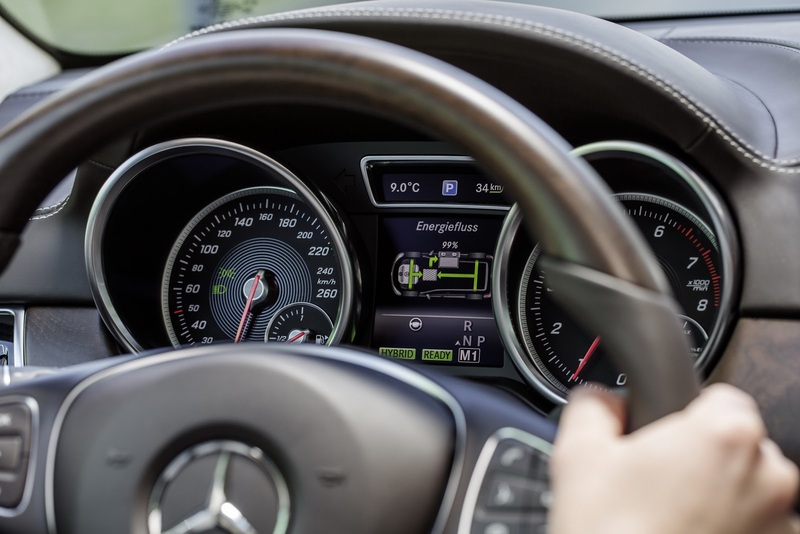 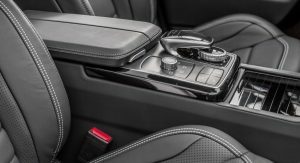 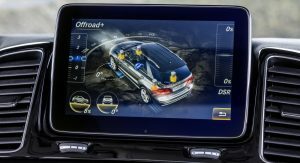 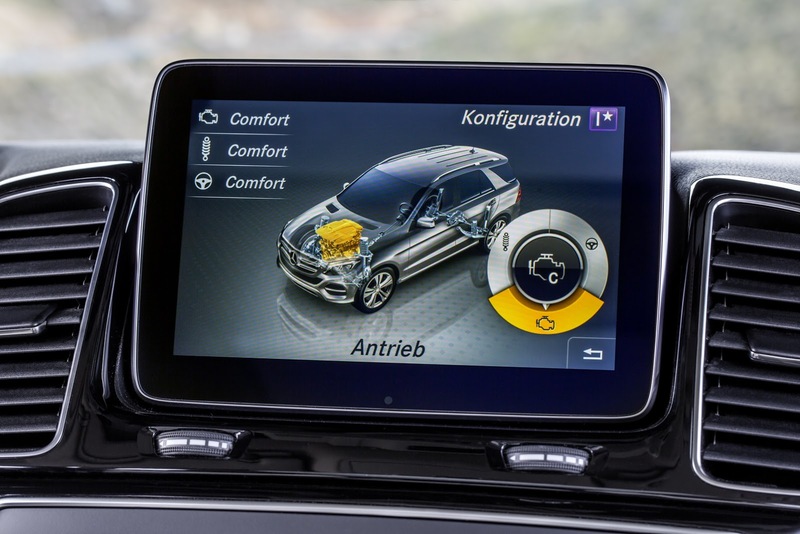 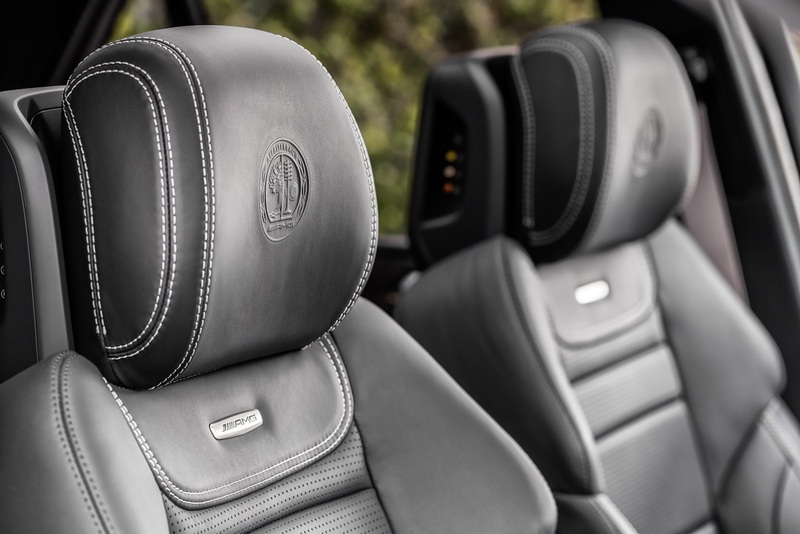 Open up the door and the first two changes that stand out is the new steering wheel and the center console that gets Mercedes’ 7.0-inch free-standing screen for the infotainment system controlled through a touch-sensitive controller. 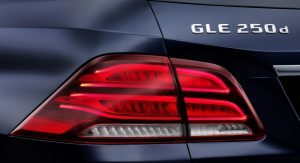 Benz says there are also new color choices including ginger beige, espresso brown, saddle brown or porcelain, along with fresh trim options. 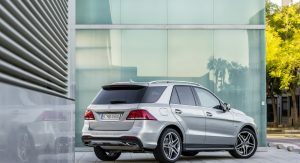 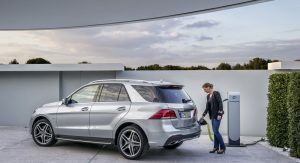 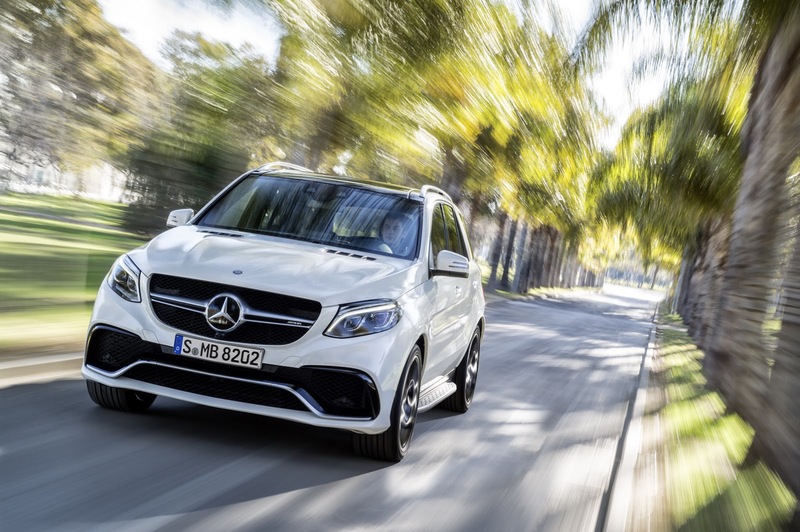 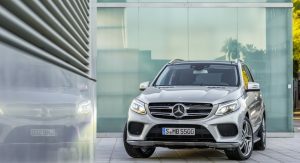 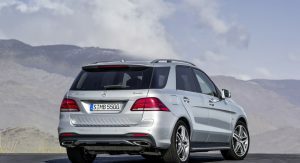 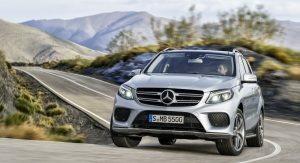 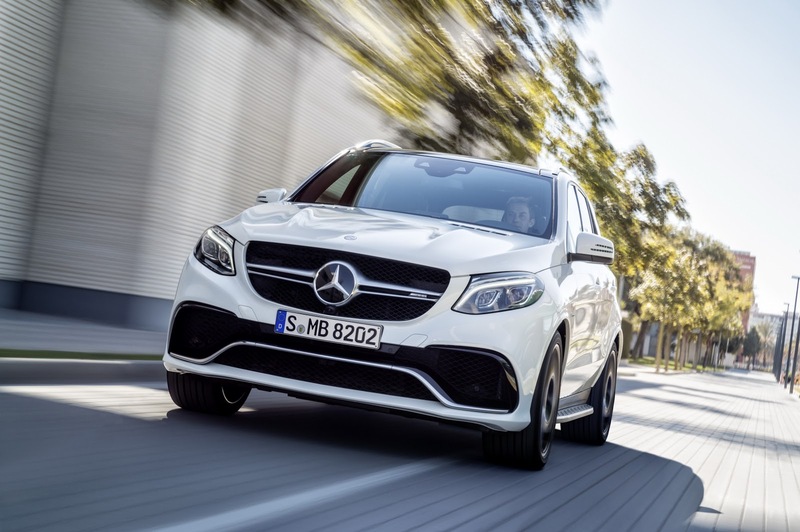 One of the biggest changes under the hood is the introduction of the plug-in hybrid GLE 500e 4MATIC, Mercedes’ first SUV of the kind. 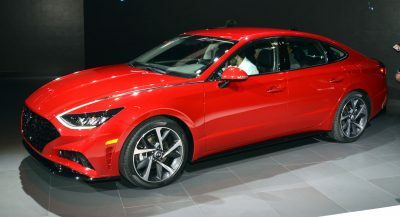 It has the same 328hp (333PS) and 354lb ft 3.0-liter twin-turbocharged V6 engine and 114hp (116PS) electric motor that produce a combined 436hp (442PS) and 479lb ft or 650Nm of torque as the S500e (formerly S500 PHEV). 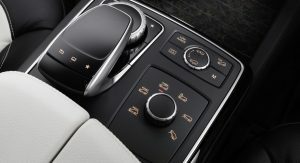 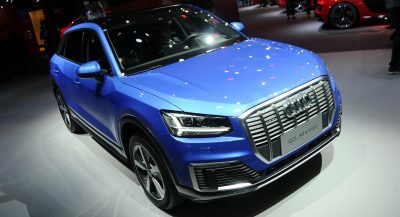 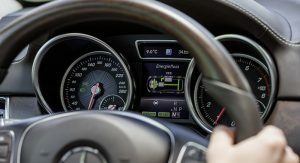 Power is sent to all-four wheels through a 7G-tronic with the driver having the ability to change between four different modes named “Hybrid”, “E-Mode”, “E-Save” and “Charge”. 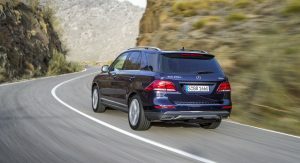 In pure-electric “E-Mode”, the GLE 500e has a driving range of around 30km (19 miles) at speeds of up to 130km/h (81mph). 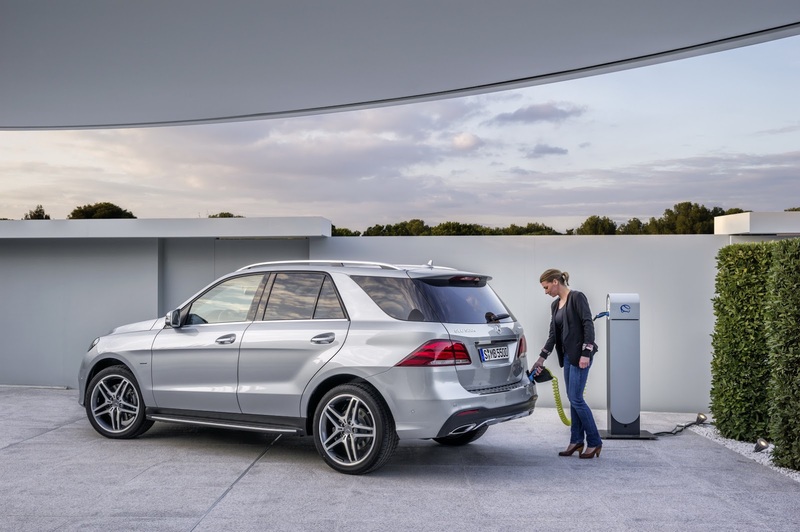 According to the manufacturer, the PHEV returns a combined (European) fuel economy of 3l/100km (equal to 78.4 mpg UK or 94.2 mpg US). 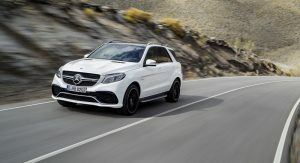 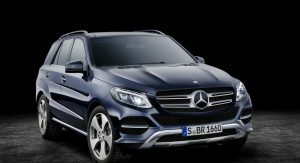 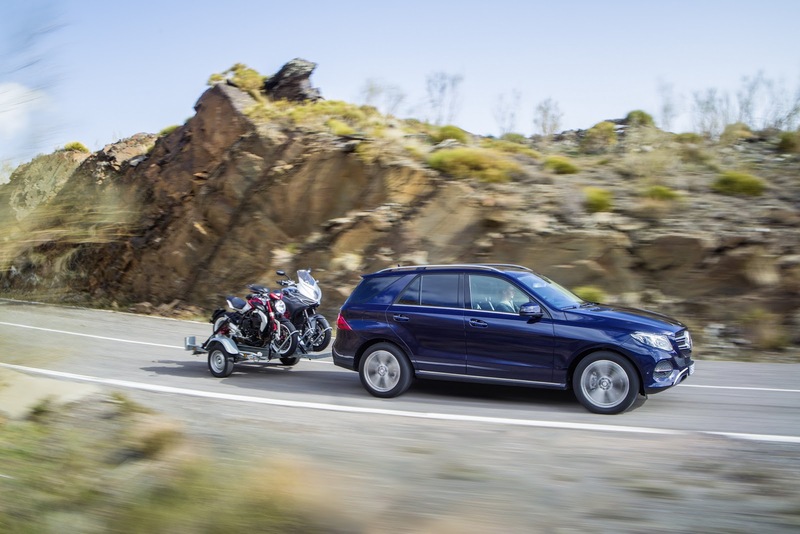 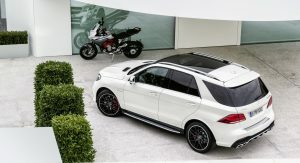 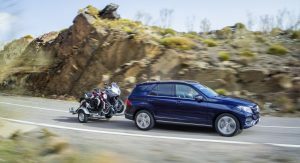 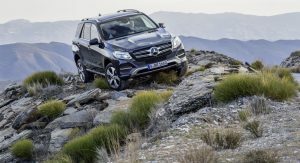 Other engine options include the GLE 250d with a 201hp (204PS) 2.0L four-cylinder diesel, the GLE 300d with a 255hp (258PS) V6 diesel, the GLE 400 with a 328hp (333PS) twin-turbo V6 gasoline unit, and the GLE 500 with a twin-turbo gasoline V8 producing 429hp (435PS). 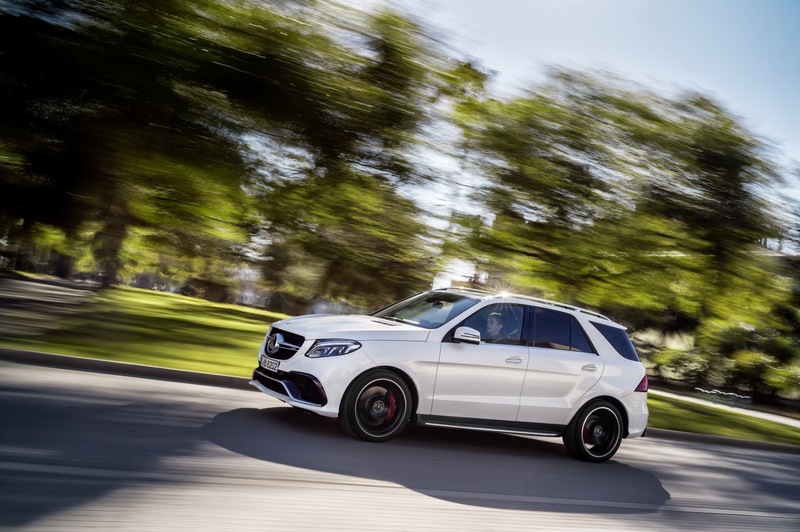 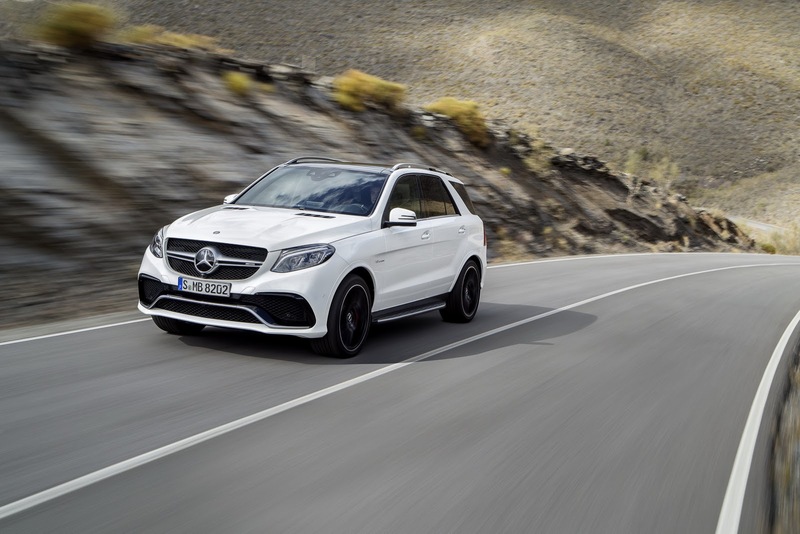 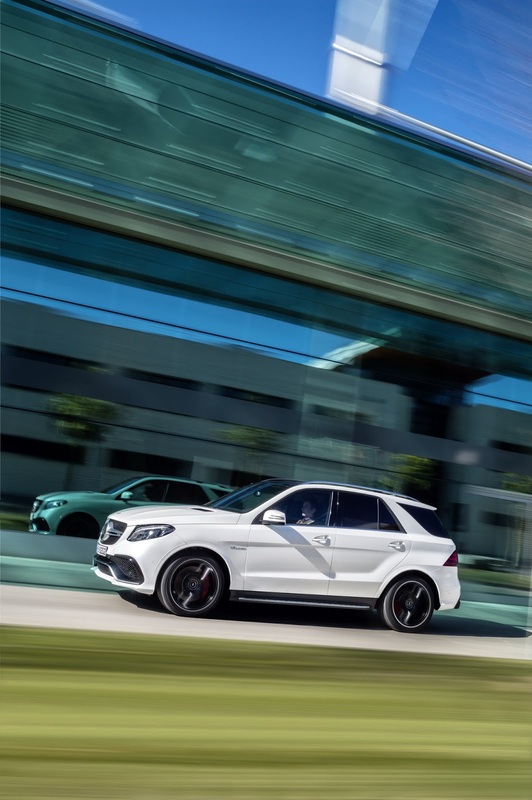 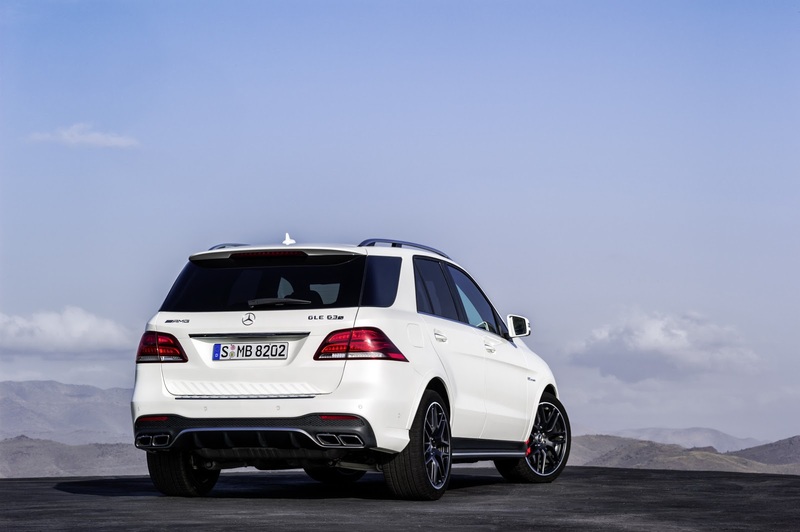 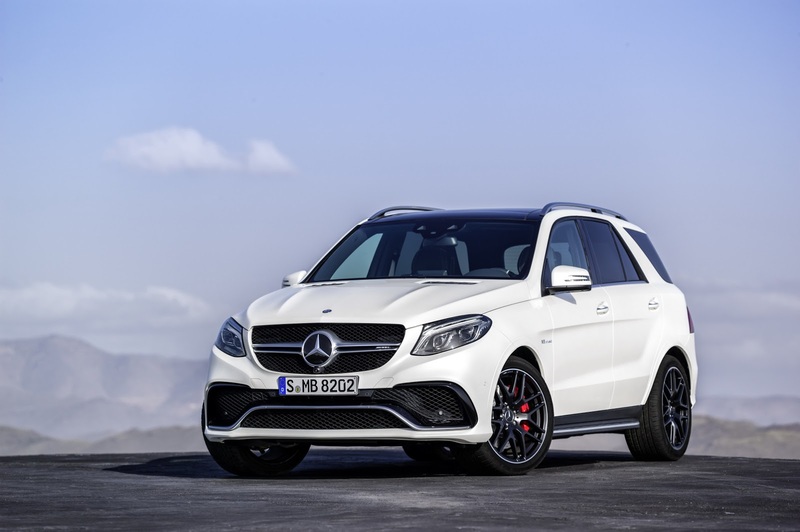 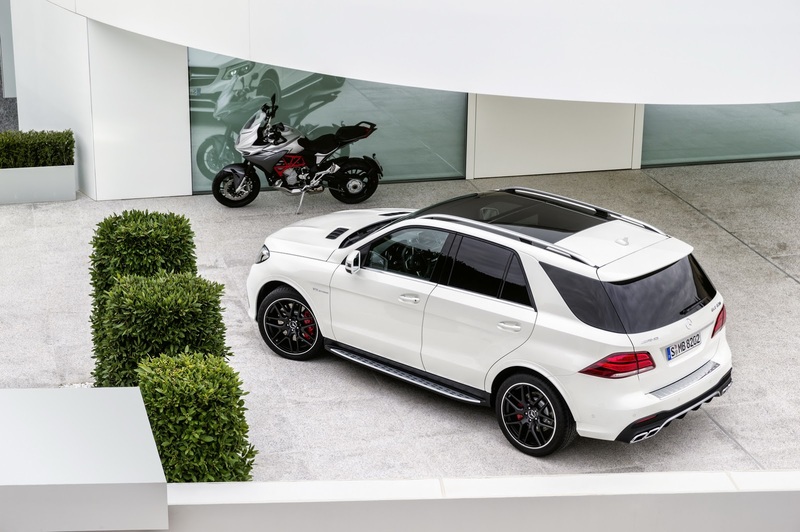 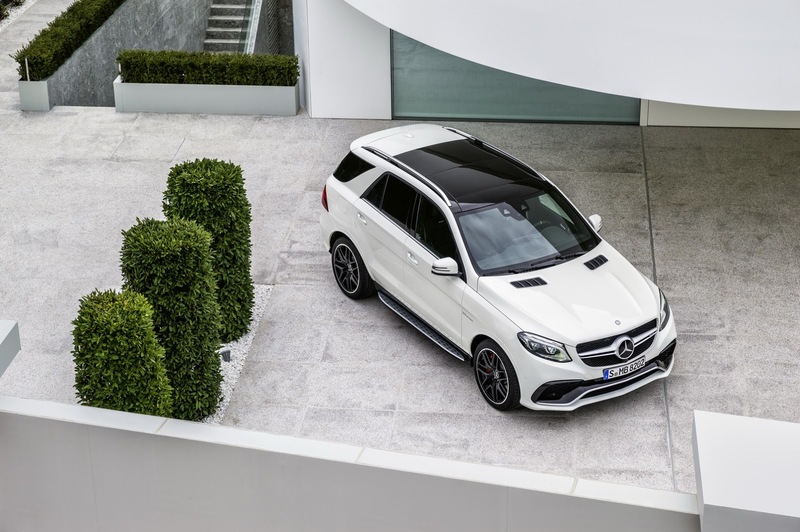 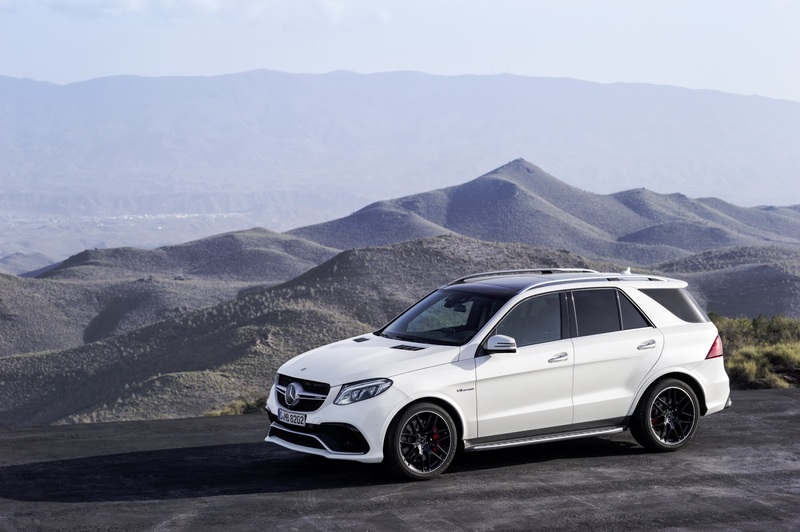 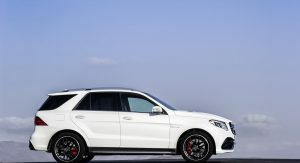 At the top of the range you’ll find the 5.5-liter twin-turbo V8-powered GLE 63 AMG with 549hp (557PS) and GLE 63 AMG S with 577hp (585PS). 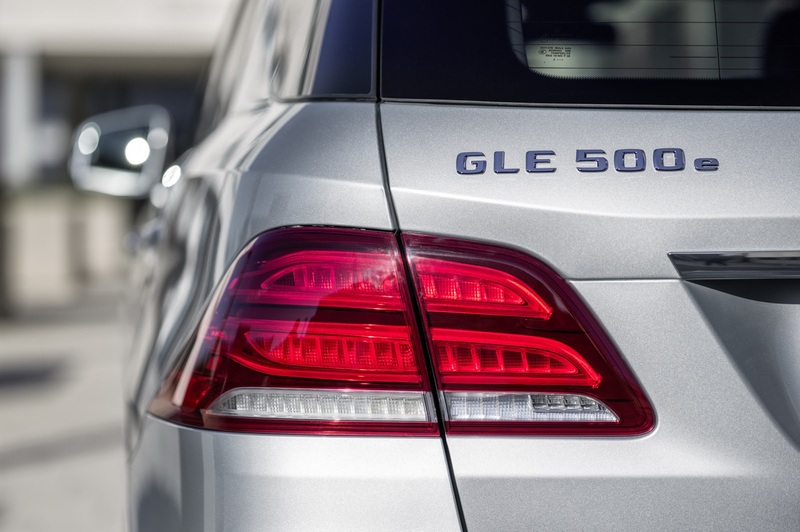 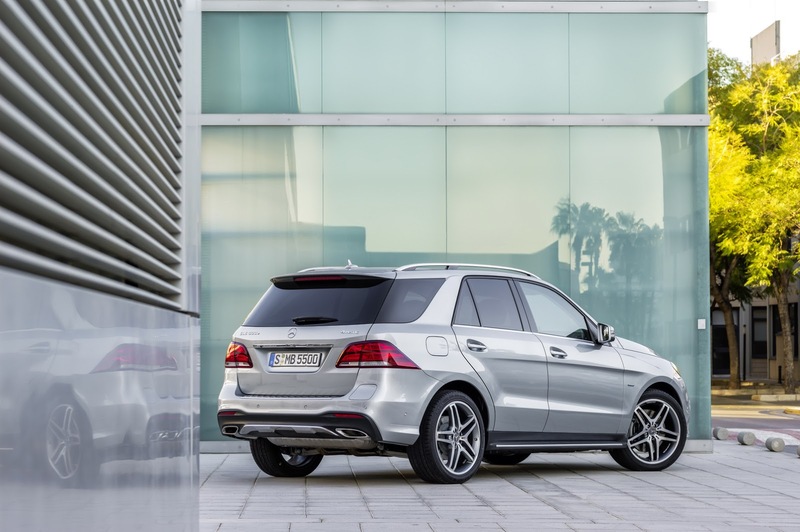 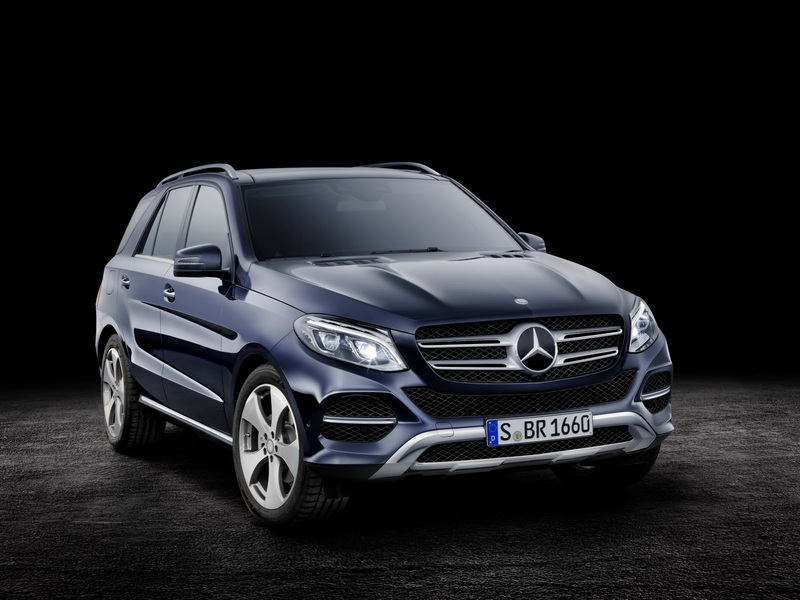 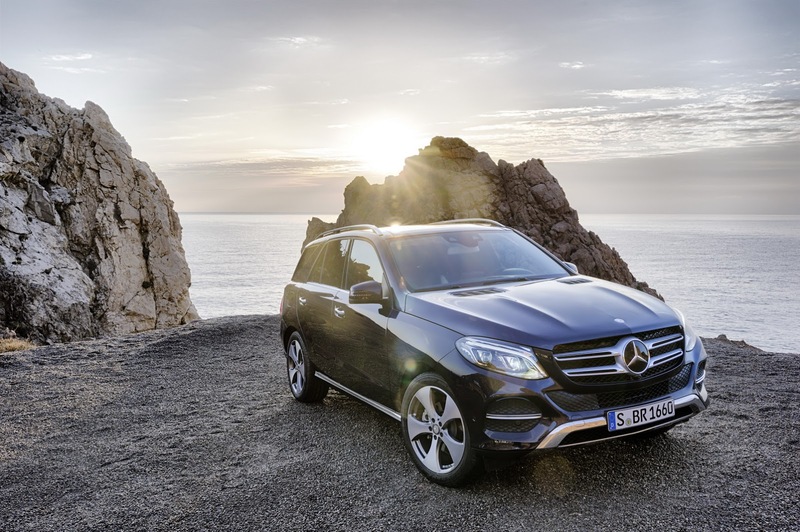 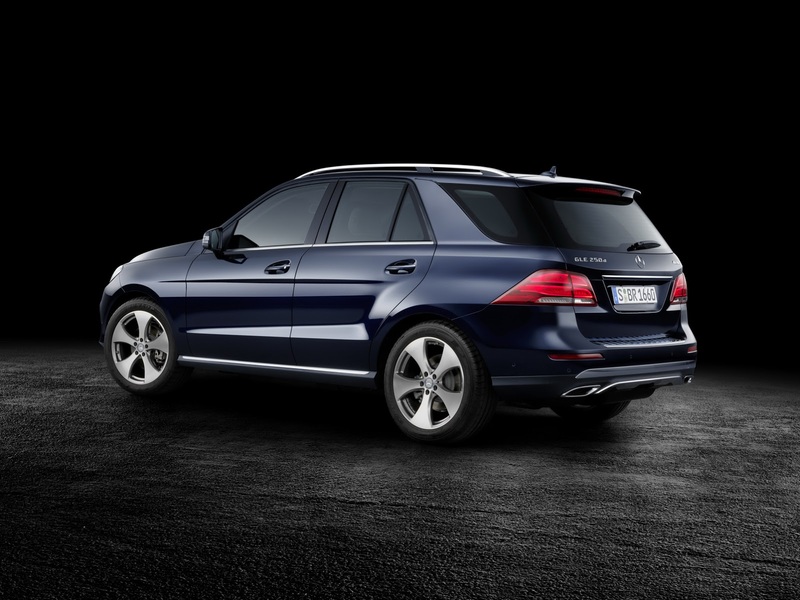 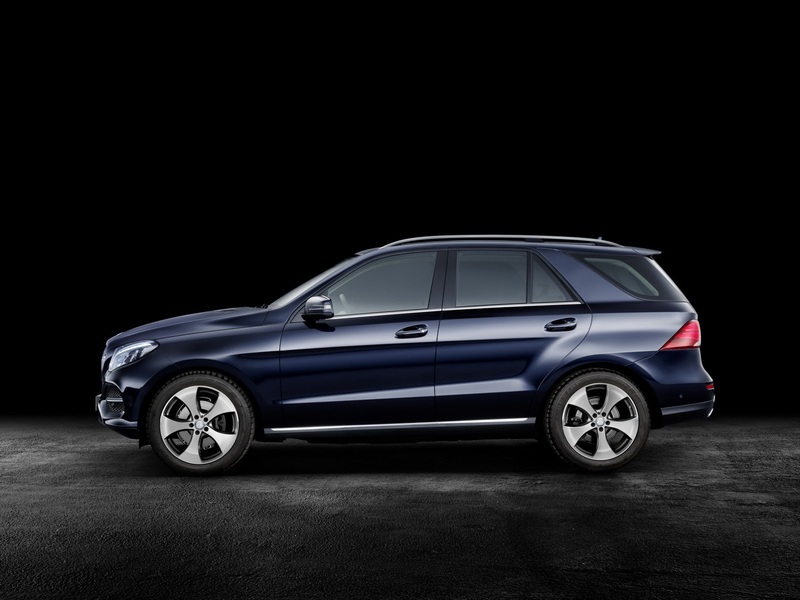 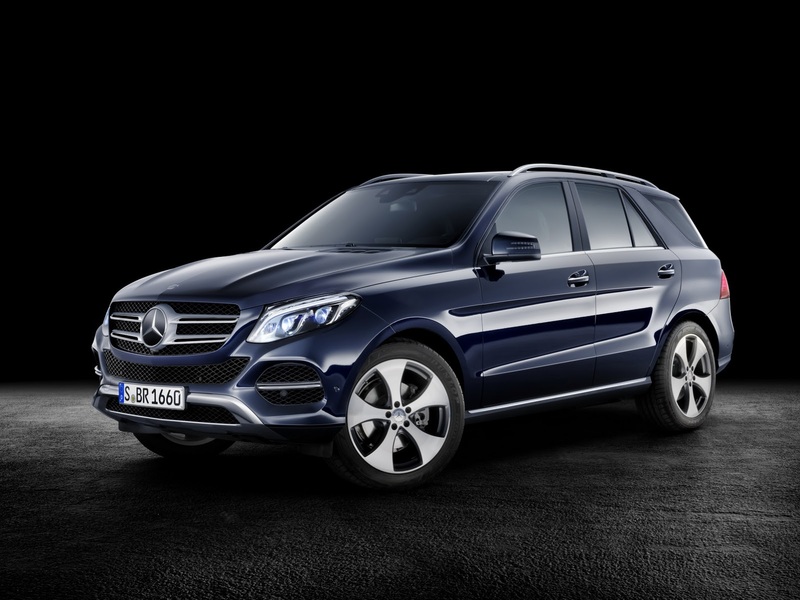 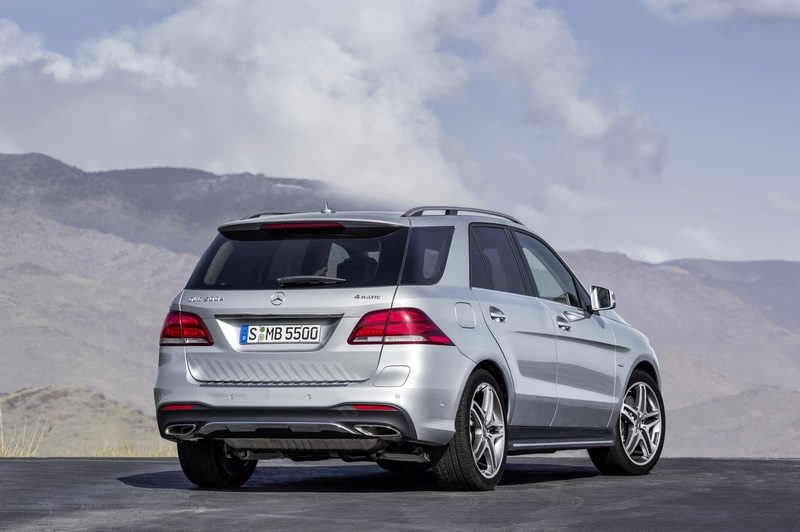 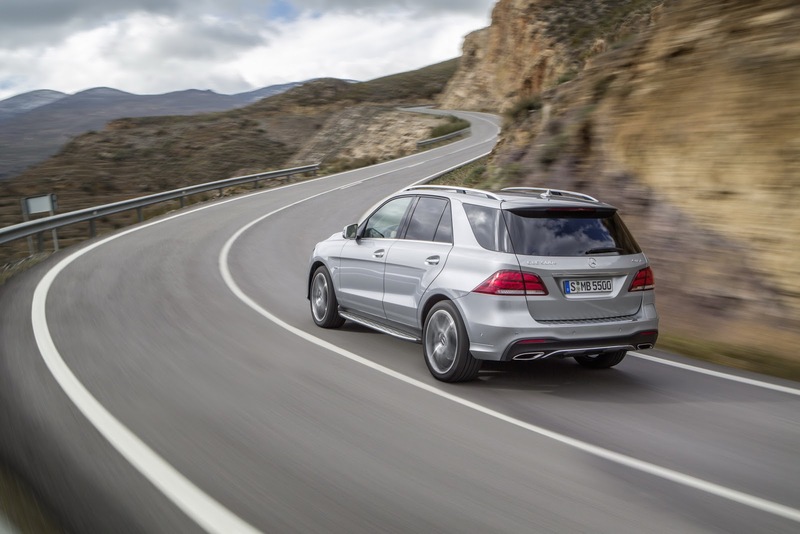 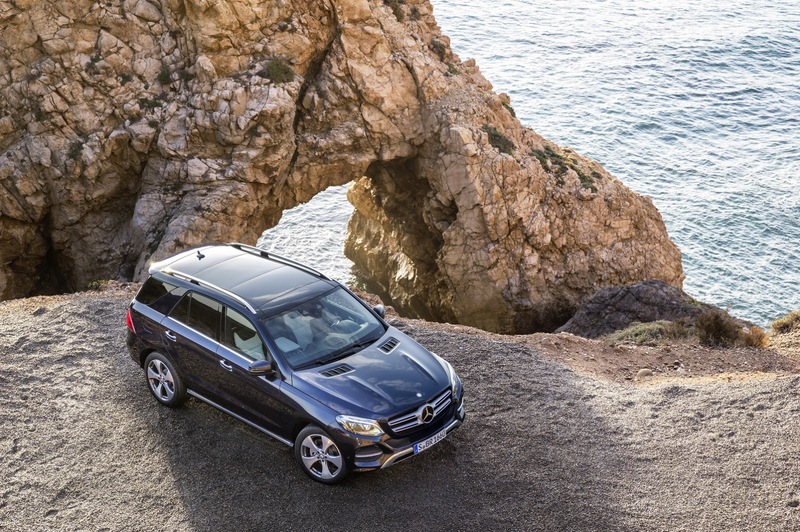 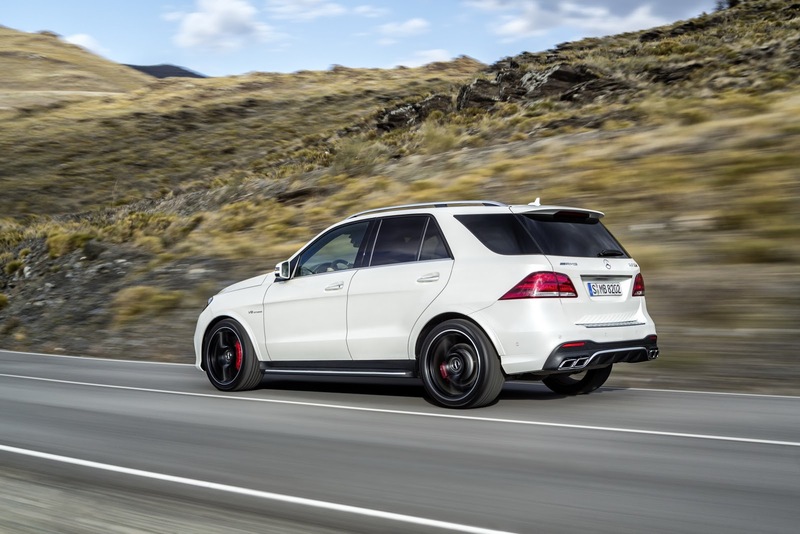 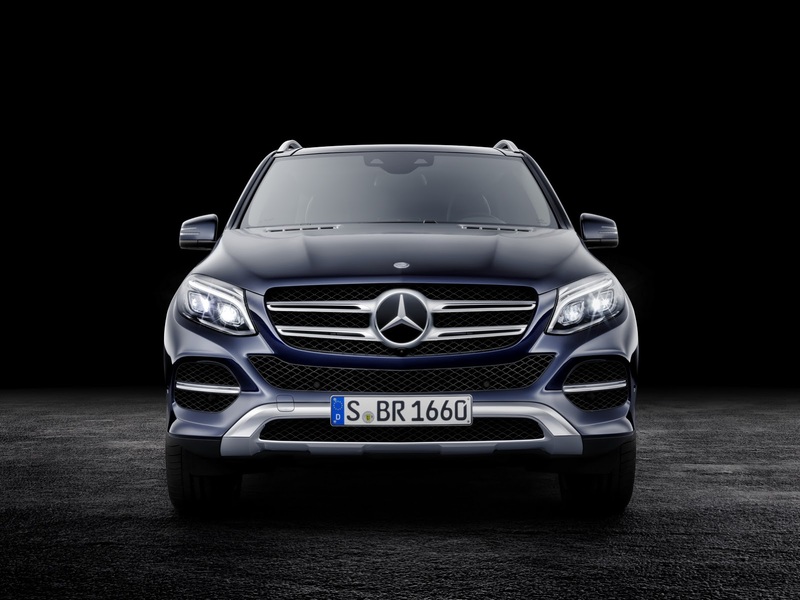 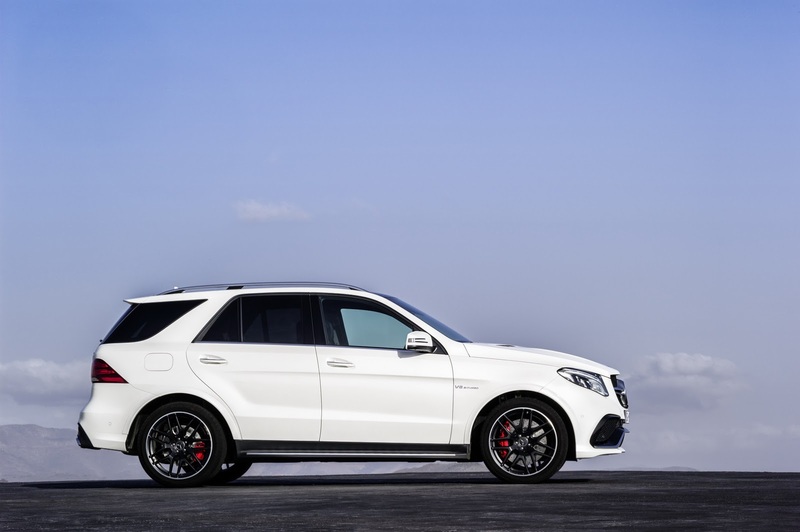 The 2016 GLE will make its first public outing at the New York Auto Show on April 1.